﻿﻿﻿﻿Today, every PC and notebook are equipped with either one or more USB connectors. These USB connections allow you to attach mice, printers and other accessories to your computer in a quick and easy way. USB is the most popular and recognizable interface in the market in an effort to simplify the connections between computers and peripheral expansion. There are a variety of connectors used for portable devices such as GPS units, PDAs, tablet computers, notebook, smart phones or digital cameras. There is no doubt that USB connector has become very popular because of its compatibility with many platforms and operating systems. Most of these devices come with their own built-in cable, and the cable has an "A" connection on it. The USB A TYPE PLUG PCB DIP SMT TYPE is a flat, rectangular interface, commonly used at the end of the cable that plugs into the cable/computer port hub. USB port is the most commonly used. Type A ports are also found on other computer-like devices, case in point: video game consoles (PlayStation, Xbox, Wii, etc. ), home audio/video receivers, or "smart" televisions. 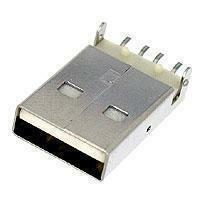 Rather than round pins, the connector uses flat contacts which can bear continous attachment and removal. It offers a connection physically smaller in size to a USB Mini-b. Moreover, the USB connector is super easy for users to connect and disconnect, just plug-and-play for keyboards, mice, and other peripherals. Copyright © 2019 FU-YAO TECHNOLOGY CO., LTD.